Surprise after surprise has been coming in for Princess of Rock Jessie Chung upon the release of her new album Be Strong in Taiwan. Having been smiled on by fortune, she has now returned to Malaysia to celebrate and share the success with her fans! 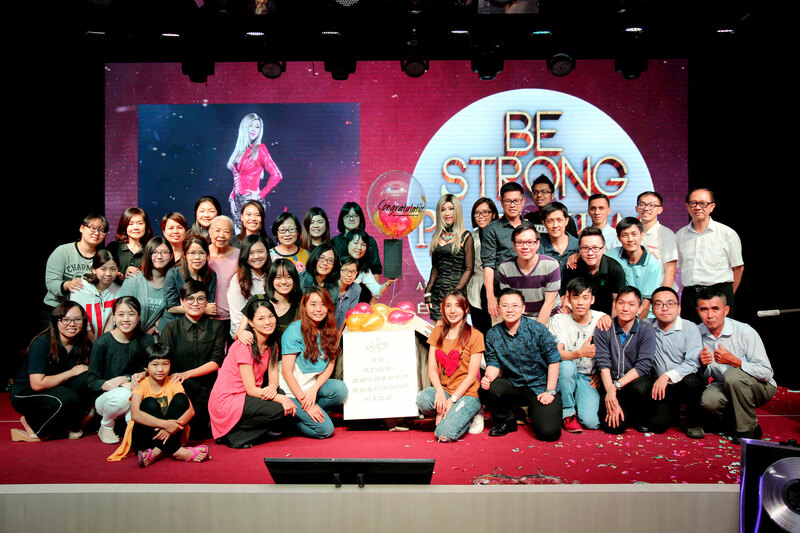 Be Strong has received major support from the Taiwanese, as enthusiastic media and radio stations rushed to push Jessie’s album and its intrinsic positive energy around the country to empower its people. Jessie campaigned in Taiwan for two weeks; her album debuted atop the throne of Taiwan’s most authoritative album sales chart, Five Music’s International Chart. After fending off all other contenders and winning Five Music’s championship, Taiwan’s top radio station i Radio also came in with good news: Jessie’s new single “Be Strong” squeezed into the top ranks of i Radio’s International chart, debuting at second place. On the second week, Jessie Chung came back with a vengeance and reigned at the Number One spot with the support of the media and Taiwanese fans! Jessie Chung was taken aback by the achievements brought on by her album Be Strong. 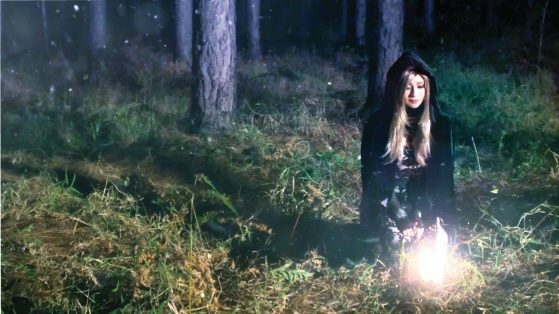 She never thought that her Australian label-produced album would be this popular in Taiwan, as her contenders this time included established international artists such as Adele, Ed Sheeran, The Chainsmokers, Ariana Grande, Madonna, and Coldplay, etc. In regard to the double championship achieved with this album, Jessie humbly said that her boss and producer are the ones who should receive the most credit. She expressed that the Taiwanese are really fond of Be Strong, because every song on the album emanated positive energy. Especially the title track “Be Strong”, which became the newest hot single most played by Taiwanese DJs. Many commented positively on the songs universal meaning, and expressed that every time they hear the song they become emboldened to smile and stand strong in the face of adversity. Every music video on Jessie Chung’s Be Strong album surpassed the million view mark on YouTube in less than two months, indicating the amount of popularity they have garnered. Her album sales also surpassed 15,000 physical copies in three months, reaching platinum status! Future Entertainment & Music Group Australia held a celebration for Jessie’s outstanding awards in Taiwan, and Darren Choy, chairman of the Recording Industry Association of Malaysia (RIM) and Managing Director of Warner Music Malaysia & Singapore, and Mr. Lim, CEO of Malaysia’s physical record distributor PMP Entertainment joined on the occasion to present Jessie with a platinum certification. Chairman of RIM Darren Choy stated that the previous album There You Are has already done extremely well, but Be Strong managed to out do it by topping two charts. Jessie is currently the only Malaysian singer to have two simultaneous championships in the international charts of Taiwan. CEO of Malaysia’s physical record distributor PMP Entertainment Mr. Lim stated that the 15,000 physical record sales is an incredible feat in the age of streaming and digital album sales. Jessie is a hardworking artist, and her hard work paid off this time. To bring Jessie and her talent around the world, her boss in Australia employed Neil McLean, an artist manager who has had 33 years of experience in the media sphere and is currently a renowned television producer and host in Australia. He remarked that Jessie is a legend, and he has the confidence that Jessie will soon become a household name in Australia. As for Jessie’s agenda this year, she stated that her manager has opened up opportunities in the Australian and European music scene for her, and she’ll be flying to Australia this year to promote her album and perform. Her label has prepared for Jessie to promote her album in Thailand in August, and Jessie will fly to Australia in September to hold the legal wedding ceremony of her dreams at Gold Coast. Jessie divulged that throughout the years, her husband has always expressed his regret due to the lack of a legal marriage certificate. After years of hard work, they have finally registered their marriage in Australia and received their legal marriage certificate. Upon receiving the certificate, Jessie’s husband Joshua Beh proposed to her again; his true love for her touched Jessie deeply, and the event became the fourth windfall for Jessie in Taiwan. As for the Music Box Stage Play, which is currently held in abeyance, her manager stated that it will be showing at the end of this year in performing art centers all across the country after Jessie’s wedding. In addition, Jessie has also been informed by the Malaysian government that she would have the honor to represent her country in the ASEAN Business Awards, competing in the category for “Most Outstanding Businesswoman” and becoming the pride of Malaysia! ** Five Music’s International Chart is Taiwan’s first and only chart that determines its rankings solely through album sales. ** The rankings of i Radio’s International Chart are determined through internet polling, i Radio DJ votes, total airplay, and total record sales (Five Music, G-music, Books.com.tw).